Born in 1900, Carlu came from a family of architects, his brother Jacques being responsible for the Palais de Chaillot in Paris. After a short time at the Ecole des Beaux-Arts, he began to specialise, at the age of seventeen, in poster design. By 1918 he was sufficiently well-established to be named Designer of the Year by a panel of judges headed by the famous graphic designer Cappiello. The same day Carlu lost his right arm in a road accident. Although it meant a long period of retraining and readjustment, he refused to let this loss prevent him from continuing in his chosen career. There is an echo of the tragedy in the image of the hand that often recurs in his later work. Based on what at the time was highly original imagery – the profile, the mask, and the obsessively repeated hand – his work as a poster designer developed in three areas in particular. First, political commitment: this was focused from as early as 1930 on the peace movement (Le Désarmement, 1932) and the struggle against National Socialism (Stop Hitler Now, 1940). He produced the latter in the United States, where he was resident from 1940 to 1953. 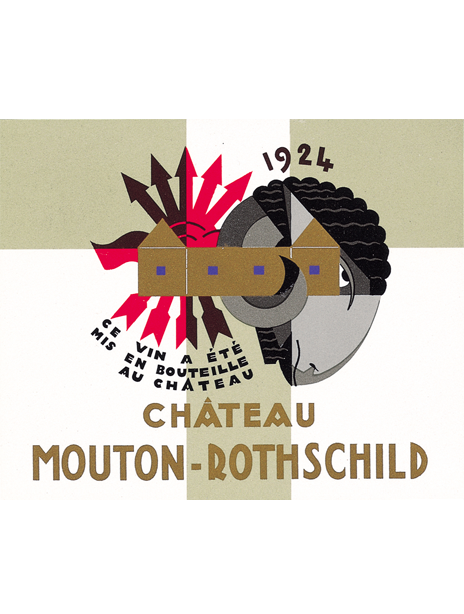 Second, the expression, in poster form, of the dominant artistic movements of the day: Cubism (as in the label for Mouton Rothschild 1924) and Surrealism, under the influence of André Breton and Yves Tanguy, as in the Reichold Chemicals poster. Finally, an impressive series of technical innovations: the introduction of photomontage (the poster of the film Atlantis by Pabst in 1932), the use of three-dimensional elements in poster design (La Grande Matson de Blanc, 1933), and the use of electric lightbulbs in poster composition (Luminograph, 1937).